So what’s the mystery here? No, not that strange woman in a Welsh felted hat doing tai chi. (Actually, I think I may be in the process of ‘grasping the sparrow’s tail’ Yang-style long form. I’ve rather forgotten). 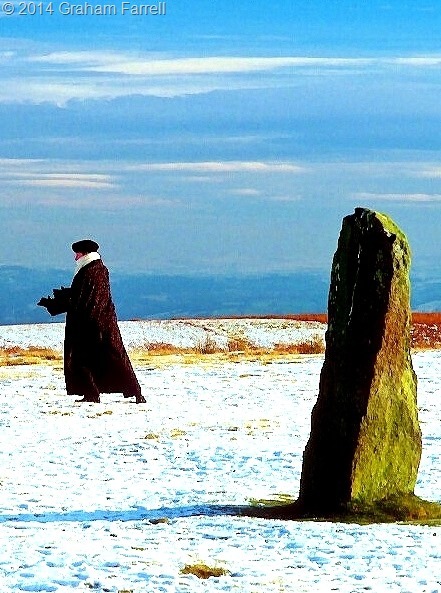 I remember, though, the icy winter’s day, and the absolute stillness, and the hazy blue views of Wales over the border from my Shropshire homeland, and the feeling that this circle of ancient stones was a special place; that it stirred in me the sense that doing tai chi here would be a good thing. 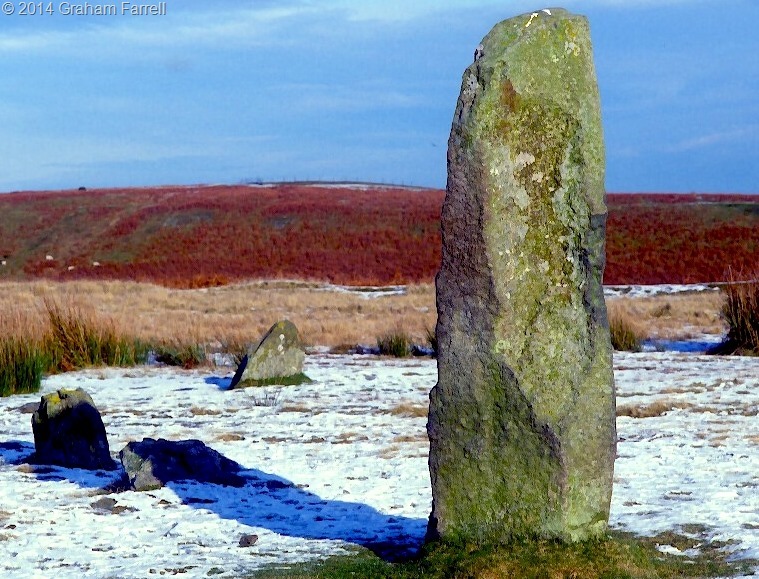 I have written before about Mitchell’s Fold Bronze Age stone circle, and you can find the witchy legend associated with it HERE. Historically speaking, little is known about the stones beyond the fact that they were raised some 4,000 years ago. The surviving fifteen stones form a rough circle, although there may have once been as many as thirty. The tallest survivor is said to have originally been one of a pair, and so formed some kind of gateway or threshold at the circle’s edge. These henges are, on the whole, unfathomable. There is no knowing how the people, who toiled to build them, made use of them, or what their precise significance was in their daily lives. The elevated location of Mitchell’s Fold, with its sweeping vistas, suggests to us a sacred function. There are also possibilities that the stones’ particular alignment served as some kind of calendar, marking solar and lunar events. And, for more prosaic purposes, in a world without maps and SatNav, prominently sited megaliths may also have provided travellers with landmarks to keep them on course through the upland wilds. The Bronze Age was, after all, a time of intinerant smiths and artisans who covered great distances to trade their goods and services. This is borne out by the fact that not far from Mitchell’s Fold, just over the Welsh border in Powys, is the Cwm Mawr Bronze Age axe factory. The distinctive looking axe-hammers that were made here have been found across Wales and England, their discovery demonstrating an extensive trading network. Nor is this henge an isolated monument in the immediate landscape. 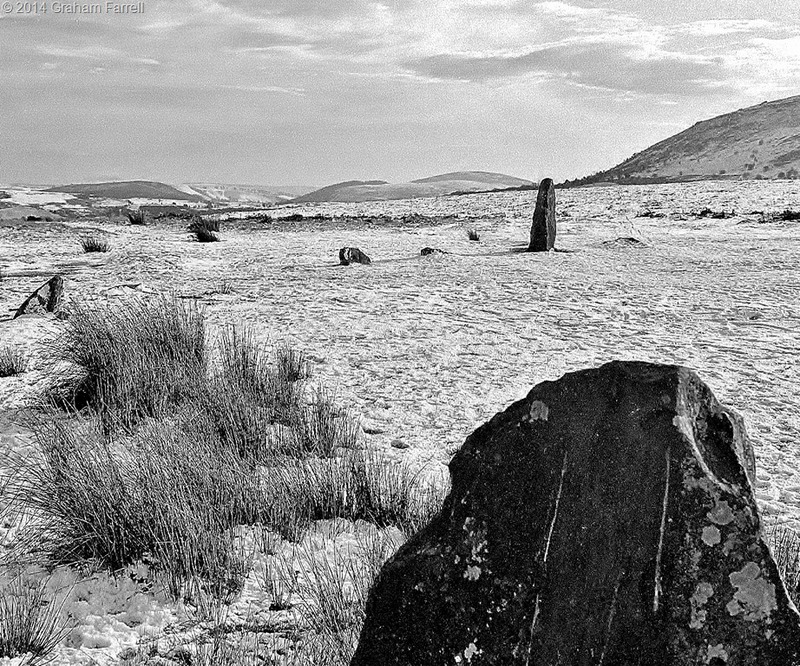 There are numerous cairns and two further stone circles nearby. This seemingly remote place, then, was very busy some four millennia ago. As a Prehistory undergraduate, also in times long past, I spent three years in Sheffield University lecture theatres looking at images of barrows, chambered tombs, henges, hillforts, cist burials, urn cremations and other ancestral relics. This being the era of slide projection, the photographs were often shown upside down and back to front; it became a standing (or otherwise) joke, looking at remains from an inverted position. The fact is though, however you looked at them, their intrinsic meaning could not be divined. All that might be said is that these mysterious constructions were of immense importance to our forebears. We know this because of the great effort involved in their making; these were people who, by our standards, had very limited technology. And so here is another example of megalithic mystery. 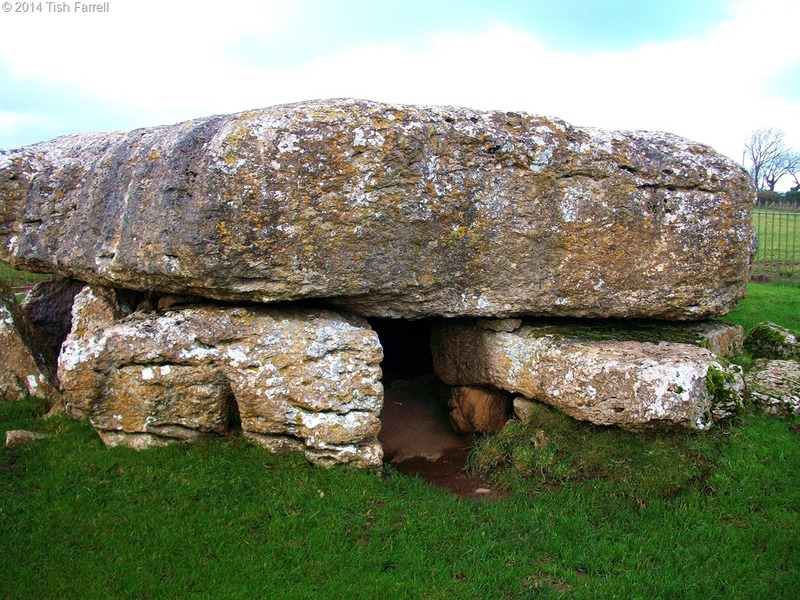 This is the late Stone Age (Neolithic) Lligwy burial chamber on Anglesey in Wales. Excavation in 1908-9 uncovered the remains of 15-30 people, along with pottery that provided the dating evidence. It is estimated that the capstone weights 25 tonnes. This is truly mind-boggling. How did people without cranes lift this monstrosity onto the supporting stones? How many people did it take? Wasn’t the population in prehistory supposed to be small? Of course experimental archaeology has demonstrated that much may be achieved with the cunning use of tree trunk rollers and various simple pulley devices combined with muscle power. But even so, the Lligwy burial chamber is surely a triumph of human will over an absence of hydraulic lifting gear. In this era people had only stone tools. So yes, the past is a foreign country, and people did do things differently there, and in ways we cannot possibly know. And if I learned anything from three years of studying Prehistory and Archaeology it was not to judge people by their limited toolkit. These people were as intelligent as we are, maybe more so, since there was a greater need to apply it at all times. Our current understanding of these monuments may be fragmentary, wrong-headed even, but shouldn’t this be all the more reason to keep these ancient places safe? At this present time in England our heritage is daily under threat from a government that wishes to build its way out of recession. Worse still, current laws allow developers to take local authorities to judicial review if their planning applications are refused. To avoid incurring huge costs to the public in legal representation, local authorities are now being pushed to grant planning permission in close proximity to unique monuments. At present, in Shropshire, the setting of 2 major sites is under threat: Old Oswestry Iron Age hillfort, and the post-Roman Offa’s Dyke. Why this is happening is of course absolutely no mystery at all. The past has cachet. It is a highly sellable ‘commodity’. Let’s sell it off, why don’t we? Valuing the Past: How much for Old Oswestry Hillfort? Posted on April 14, 2014 April 15, 2014 by Tish Farrell	This entry was posted in Archaeology, Landscape, photography, Prehistory and tagged #amwriting, Bronze Age stone circle, Cwm Mawr axe factory, Daily Post, heritage, L P Hartley, megalithic monument, Mitchell's Fold, Old Oswestry Hillfort, Shropshire, tai chi, The past is a foreign country, Tish Farrell, Weekly Photo Challenge, WPrightnow. Bookmark the permalink. The world absolutely needs more shopping centres, new townhouses and adventure golf courses. Thanks, Ark. We have such rubbish development in this country too. Not many developments are that considerate of the environment, though if memory serves the development of the old London Docklands and the cleaning up o the Thames had positive spin offs, but the basic ”hardware” ( buildings etc) were already established. Yes, you’re right on both counts. As to the second, the re-purposing of some industrial buildings has been absolutely fantastic all over Britain, but I imagine that’s because they are architect driven. I’m all for finding new uses for old buildings. Tate Modern’s turbine hall is a marvellous structure for exhibitions. I like modern housing developments too if they’re well designed. It’s just not something we manage to achieve very often in UK. Amazing and interesting story, It is fantastic what they where capable of many hundred years ago. Great entry. I can never get enough of these old, mysterious sites. If I had a time machine…..! I love the Tai chi movement next to the stone. What a great way to honor the energy of the place. Pave paradise. Put up a parking lot. These are heritage sites. What may be considered a minor incursion today, may prove to be precedent for far worse development down the road. I hope there are enough like-minded people to keep the moneyed interests at bay. This was another fascinating post, Tish. I once watched a documentary wherein a professor used a couple students to move stones equal in weight to those of Stone Henge. As you mentioned, he used tree limbs to move the stones, positioning them over pits, allowing gravity to take hold and drop them into place. It was an eye-opening show for me and gave me a higher appreciation of our “primitive” forebears. Thanks for sharing your knowledge and photos with us. Thanks, John. Glad this post struck a chord with you. 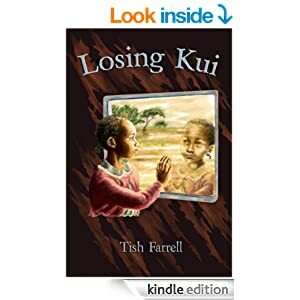 Such beautiful images of mystery, Tish.